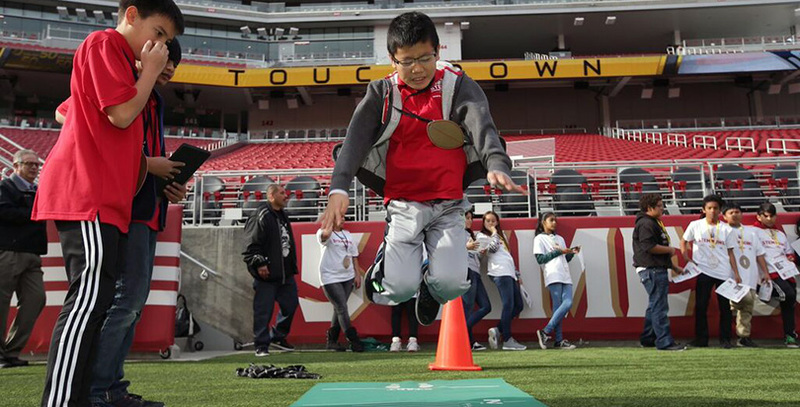 Since 2014, when the San Francisco 49ers made their first foray into STEM education, the local Santa Clara schools have revolutionized how they engage students in the study of science, technology, engineering and math. The 49ers STEM Leadership Institute, which started with 60 kids at Cabrillo Middle School, now has 180 students in grades seven through nine who study a rigorous curriculum both in and out of school. And even though they spend time in class, on weekends and over the summer studying STEM, the kids are practically begging for more. With such intense demand from the students, and with the original 60 kids set to start 10th grade next year, the district’s STEM offerings needed to expand beyond middle school. And the 49ers have obliged, extending the institute’s program to Santa Clara High School. Joanne Pasternack, 49ers vice president and executive director of community relations for the 49ers Foundation, told The 74 that in September, the team opened a STEM education lab at the high school, the next phase in a six-year plan that will eventually see the institute stretch from seventh through 12th grade in the Santa Clara schools and serve 360 students. Known as a Fab Lab — connected to a network of more than 800 labs internationally through a corporate partnership with Chevron — the high school space comes equipped with two 3-D printers, two laser cutters, a full-size milling machine for wood carving, a vinyl cutter and plenty more equipment for fabricating just about anything. The new lab at the high school, she said, continues that effort, with the physical spaces at two schools allowing for what she called “one of the best resources” for STEM education as students move through the system. Funded with $1 million annually from the 49ers Foundation, the institute — a partnership between the 49ers Foundation and the Silicon Valley Education Foundation — debuted by accepting the applications of 60 seventh-grade students and has grown by adding a new cohort of 60 seventh-graders every year. Three program directors and a team of Santa Clara High School teachers help the institute’s students dive deeper into STEM studies in their classes at school. The kids also meet once a week after school, two Saturdays a month and for three weeks during the summer to compete in challenges and participate in workshops that aren’t part of the in-school curriculum. Local universities have taken notice of the institute, with the University of California, Berkeley, inquiring about inviting 49ers STEM Leadership Institute students to its summer tech bridge program. That marks quite a change for the Santa Clara schools, where only 2 percent of high school graduates qualify for top-tier STEM colleges because the district has lacked the resources to offer advanced math and science classes. The York family, which owns the 49ers, was well aware of this problem. “When we were breaking ground on Levi’s Stadium, the York family and the senior executive team had a vision to create a lasting community impact on an actual need in our community,” Pasternack said. STEM was a definite area of interest. So when the National Football League stadium opened in 2014, it featured a museum and a learning space with its own STEM program using football as the hook, paid for by the 49ers Foundation. Some 60,000 grade-school students a year visit the stadium’s classrooms and labs, getting lessons in sports and science and bringing back workbooks that help their teachers continue their STEM learning. The 49ers have extended that program online as well, making them the first professional sports team to include content in the free, online-based education nonprofit Khan Academy content catalogue. Already, the 49ers have started working with the Los Angeles Rams on possibly creating a similar STEM program in L.A., and a number of other professional sports teams have begun looking at the STEM model as well. 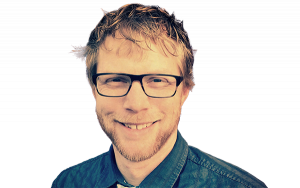 Tim Newcomb is a sports, education, and pop culture writer based out of Washington state. He is the author of the book “STEM in Sports: Engineering,” published by Mason Crest, and a father to three girls.